Making the right decision with food can be hard. Don’t we all wish we had a bit more willpower? To be able to turn down those muffins or donuts that someone (EVIL!) brought to the weekly meeting? To be able to head to the gym and do a challenging workout when your favourite team is playing an important game? To stop at one glass of wine and not finish off the bottle with a friend? Sometimes it seems that some people have willpower and some people just don’t…and you probably feel like you’re the type who doesn’t have enough. The truth is, you’re probably no worse off than the next person. The problem is that nobody seems to have all the willpower they need, all the time. If our self-control is destined to fail us, what can we do instead? Let’s look at the problem with willpower first. Think of willpower as a muscle. Willpower can be trained and gets stronger when you use it. Unfortunately, your willpower can also get exhausted and stop working. Ego depletion is the idea that your willpower or self-control are in limited supply and if you use them up in one area (say, your job) then you won’t have any left in other areas (working out and eating well). It’s not a fact; although it’s intuitively-appealing, it’s just a theory as to how it may work and some research doesn’t support the concept. Sometimes it’s clear that certain people seem to have more willpower in all areas of their lives, an argument against the concept of ego depletion. One thing that seems a bit clear, however, is that relying on willpower isn’t a great idea. When you face a self-control challenge, you may experience undue stress. Most of us face struggles as we try to have self-control with our nutrition plans or our exercise routine. Although often attributed to Aristotle, apparently this quote came from a 1926 book about philosophers by Will Durant. Makes no difference really. These guys had a point! You don’t achieve a fabulous, fit, lean, athletic body in one day, but with the habits that occur over months and years. And there are many parts of that. Working out becomes a habit after a certain period of time. You get to the point when it’s weirder for you NOT to go to the gym than it is for you to go to the gym. Regularly choosing more protein and vegetables becomes more normal than crappy processed carbs like donuts, chips, fries, and crackers. You may eventually develop the habit of having a glass of water in between drinks when you go out to cut down on alcohol consumption and combat dehydration. So what’s better than relying on willpower, which we’re concerned isn’t as reliable as we’d like? A habit is an acquired behaviour pattern regularly followed until it has become almost involuntary. Most of us make brushing our teeth a daily habit (flossing is a bit less popular!). We take a shower after a workout (we all hope!). We might drink a glass of water first thing in the morning. Or have protein powder after a workout. How long it takes to build a habit is up for debate. The often-quoted 21 days wasn’t based on any research; it was based on the observations of a plastic surgeon named Dr Maxwell Maltz, who noticed that it took his patients a minimum of 21 days to adjust to their new appearance. Notice the words “a minimum” that are mentioned, although the fine print is mentioned when most people quote this common, but completely untrue, number. Some sources state that it takes 30 days to build a habit, or some other arbitrary number. The truth is that it depends on the person and the habit. A small study of 96 people over a 12-week period found that it took between 18 and 254 days to build a self-selected eating, drinking, or activity habit. In this study, it took an average of 66 days to build a habit and some were easier habits (like drinking water with a meal) and some were more challenging (going for a run before dinner). The less-challenging habits took less time than the ones that were more challenging. You can probably guess which habits in your own life would be more difficult for you and which would be easy enough to make permanent quickly. That’s what it’s about. Making the habit permanent in your life. Following the right nutrition plan and working out regularly need to become habits of our daily existence. Expecting it to happen overnight, or in 21 or even 30 days, will only lead to disappointment. Be more patient. Take smaller steps. Setting a date (for many people, it’s January 1st!) and convincing yourself that you’re going to go from working out once a week to six times a week, while totally overhauling your diet, will only set you up for failure and disappointment. When I’m taking clients through my coaching plan, either my Lean365 membership program or one-on-one, I ask them to focus on one thing at a time when it comes to changing their diet. Each week there’s something new to practice within their nutrition plan. That’s the way to think about it – practice. You work on your habits daily and soon you get better at maintaining them. You won’t always get it right, but you need to give yourself credit for small wins along the way. Let’s look at the flip side of the coin – breaking bad habits. In a small study, researchers had 100 people sit in a movie theatre and offered them popcorn, varying whether the popcorn was fresh or stale (a week old!). The people who normally ate popcorn at the movies (strong bad habit) ate more than the people who don’t normally eat popcorn. Interestingly, those people who normally ate popcorn at the movies ate the same amount of popcorn, whether the popcorn was fresh or stale! So eating popcorn, for those people with the habit, was automatic and not determined by how tasty the popcorn was. Amazing how strong our bad habits can be, isn’t it? So what can we do to overcome them? Disrupt the habit by changing the context – Certain situations are associated with the bad habit so if you avoid the context then you avoid the habit being triggered. Think about habits you have and where they occur. Do you eat mindlessly on the couch? Try sitting somewhere else when you watch TV (even the floor, if necessary!) and the eating behaviour is less likely to be triggered. Disrupt the habit by changing the method of performance – Try eating with your non-dominant hand and you’ll find you eat less because the habit becomes more challenging to perform. Making your bad habit more difficult or awkward to perform can make it easier to break it. So first, try to avoid being in the place where the habit is triggered. Take a longer walk and avoid the smell of the bakery. Next, make it awkward to eat the food, perhaps by eating with chopsticks (unless you’re really good with chopsticks!). As you’ve learned from our discussion of habits, your environment dictates your behaviour. If you keep crappy food around the house, you’re more likely to eat it. This is true whether you have a relatively healthy relationship with food or not. If that chocolate is sitting on your desk every day you’re more likely to eat it. If that bag of potato chips is on the shelf in your kitchen you’re more likely to reach for it when you’re too tired to make dinner. Don’t test your willpower any more than you need to! Fill your fridge with lean protein and lots of vegetables. Don’t give yourself more excuses for not eating well. Make your good habits easy to establish by giving yourself the resources you need, when you need them. Go grocery shopping with a list that fits your ideal nutrition plan and don’t buy anything that isn’t on the list. This is probably also a good time to mention that you should never go grocery shopping when you’re hungry! Building a habit is a great goal, but we know that sometimes, through the pressures of life or unexpected illnesses or injuries, we get away from even some of our most deeply-engrained habits. It’s painful to “fall off the wagon”, but it happens to everyone at some point. It doesn’t matter that you’ve drifted off, what matters is that you find yourself a way to get back on track. Getting a coach or finding a group to be accountable to, like my Lean365 Club, can be really valuable here. Being with people who are building the same habits provides the support you need during the difficult times (and there are always difficult times!) and reinforces your belief that what you’re doing is right. Be very careful which groups you hang out in though. Many groups become about complaining about the challenges of forming new habits, rather than about finding solutions. Get help from positive, resourceful people who can help you build habits that are good for your body. Remember that behavioural change is hard! That’s not an excuse, but it’s a reminder that there will be challenges along the way. Building habits that give you a lean, athletic physique will take time and proactivity on your part. Commit to your goals and the steps you need to take to get there. Plan wisely and you’ll soon find that your new habits will become automatic and they won’t take as much energy to maintain. Then you won’t have to worry so much about willpower anymore. P.S. 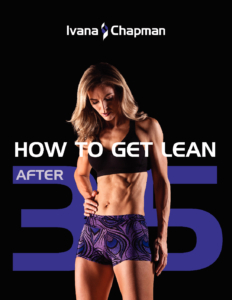 Want help putting together a nutrition and workout plan to get you lean – and keep you lean – 365 days of the year? My Lean365 Online Membership Program can help! $47 a month gets you all the nutrition, exercise, and psychology & lifestyle guidance you need to get the body you want. Check out the details HERE. Lally, P., van Jaarsveld, C.H, Potts, H.W., Wardle, J. How are habits formed: Modelling habit formation in the real world. European Journal of Social Psychology. 2010; 998-1009. Teal, D.T., Wood, W., Wu, M, Kurlander, D. The Pull of the Past: Why do habits persist despite conflict with motives? Personality and Social Psychology Bulletin. 2011; 1428-1437.